PRESTIGIOUS FIRST SHAUGHNESSY LOCATION BY THE CRESCENT! RARE FIND BEAUTIFUL SOUTH FACING LOT WITH 28,520SQFT AND 200 FOOT FRONTAGE. Features over 10,040sqft of CLASSIC TUDOR MANSION and restored to it's original CHARM, hardwood floor thru-out, total possible 9 bedrooms & den, 4 full bathrooms & 2 of half bathroom. ENTERTAINING SIZED MEDIA ROOM & RECREATION ROOMS. BEAUTIFUL PARK-LIKE GARDEN with secured fenced yard. 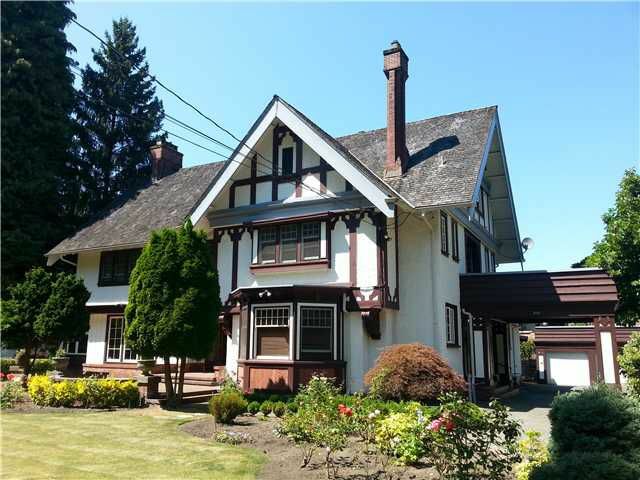 CLOSE TO WELL KNOWN SCHOOL CATCHMENT, YORK HOUSE, ST GEORGES, UBC, SHOPPING, TRANSIT. MUST SEE!